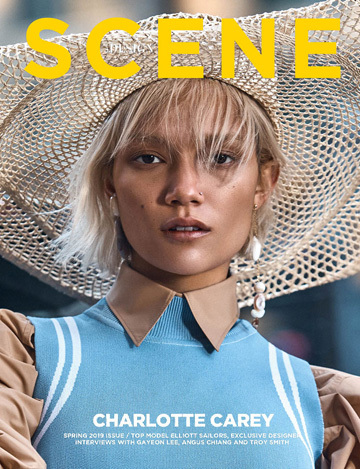 Supermodel Ajak Deng (IMG Models London) teams up with fashion photographer Hao Zeng for the cover story of our D’SCENE Magazine‘s Summer 2018 edition. Styling is work of fashion director Christopher Maul, assisted by Nihad Haque and Viennty, with makeup from beauty artist Steven Canavan at L’Atelier NYC. For Long Long Way story Ajak is wearing selected pieces from Giorgio Armani, Chanel, John Galliano, Sockshop, Toga, Victoria Hayes, Lanvin, Isa Arfen, Wolford, Gestuz, Max Mara, Kaimin, John Lawrence Sullivan, Kenzo, Thom Browne, Moschino, Prada, Marc Jacobs, Carven, Burberry, Diesel, Cheng-Haui Chuang, Pringle Of Scotland, and Prabal Gurung.